“Roshi Joan Halifax, Ph.D., is a Buddhist teacher, Zen priest, anthropologist, and pioneer in the field of end-of-life care. She is Founder, Abbot, and Head Teacher of Upaya Institute and Zen Center in Santa Fe, New Mexico. She received her Ph.D. in medical anthropology in 1973 and has lectured on the subject of death and dying at many academic institutions and medical centers around the world. She received a National Science Foundation Fellowship in Visual Anthropology, was an Honorary Research Fellow in Medical Ethnobotany at Harvard University, and was a Distinguished Visiting Scholar at the Library of Congress. A Founding Teacher of the Zen Peacemaker Order and founder of Prajna Mountain Buddhist Order, her work and practice for more than four decades has focused on applied Buddhism. Her books include: The Human Encounter with Death (with Stanislav Grof); The Fruitful Darkness; A Buddhist Life in America: Simplicity in the Complex; Being with Dying: Cultivating Compassion and Wisdom in the Presence of Death; Being with Dying: Compassionate End-of-Life Care (Professional Training Guide); Seeing Inside, among others. She is a Lindisfarne Fellow and a Mind and Life Fellow and Board member.” ~ excerpted from Upaya Zen Center website. Upaya Zen Center is committed to clarifying and deepening wisdom and compassion in the journey of transformation – both personal and social. 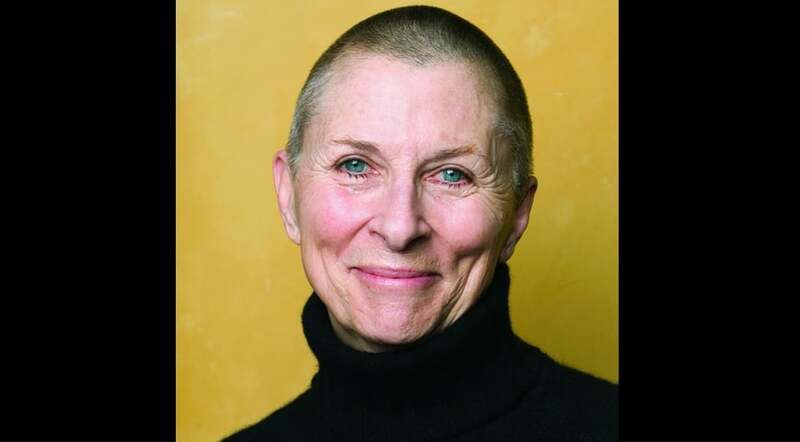 Roshi Joan is a visionary and pioneering leader in Western Buddhism, particularly Engaged Buddhism. Aside from being a leading voice in Western Buddhism she is also far-sighted about adopting technology to spread her service worldwide. Upaya started podcasting dharma talks in 2005 and it now offers one of the largest library of Buddhism related podcasts – over 1250 episodes (& growing) with an audience in six continents covering almost all countries except a handful! You can further explore her work through the right side bar: videos/blog posts, books, articles, special projects, and more. For more details about her prolific teachings, visit Upaya Zen Center website or their YouTube channel. And, you can watch more Joan Halifax videos in our library. Image: Joan Halifax, from Future Primitive (edited). post What is the Purpose of Buddhist Practice?